Skerne Medical Group practice in Trimdon Village. Councillors have pledged to provide closer scrutiny around a GP practice after one of its surgeries closed its doors for good. Skerne Medical Group (SMG) won support to shut its Trimdon Village site but lost out on proposals to close its surgery in Fishburn. The decision was made at an emergency meeting of both NHS Durham Dales, Easington and Sedgefield (DDES) and North Durham’s Clinical Commissioning Groups, despite widespread opposition. Closure plans formed part of a four-year review of SMG services in a bid to tackle GP staff shortages. Although three of it’s surgeries are still open in Fishburn, Trimdon Colliery and Sedgefield, the future of the sites remain uncertain. This week, councillors reacted to the recent Trimdon closure at a special meeting of the Durham Adults, Wellbeing and Health Overview and Scrutiny Committee. Trimdon and Thornley councillor, Jude Grant, thanked DDES CCG for recognising that the SMG consultation process was “flawed” – especially around information given to patients on proposals to close the Fishburn site. 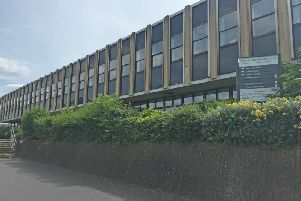 The councillor, speaking at Durham County Hall, also criticised the practice for failing to take up offers from developers to build a health centre in Trimdon and the way the public engagement was carried out. “We’ve known for about three years that they wanted to close Trimdon Village and it hasn’t been an emergency situation,” she said. “That’s not to say that we don’t know it’s very difficult to get GPs or that we don’t know there’s a crisis of GPs across the nation as well as in our county. “I think its an example how not to do public engagement on the public of a surgery. Trimdon and Thornley councillor, Peter Brookes, also called for DDES CCG to monitor the impact of the Trimdon Village closure going forward, including footfall on other surgeries, A&E pressures and mortality rates. “Just because they closed Trimdon Village it’s not going to reduce demand, the same number of people will be going to see GPs, they will just be travelling now,” he said. The councillor also asked what the timeline would be for the review of services going forward and whether Sedgefield Community Hospital would be used as a “one-site” practice in the future. Chief officer of DDES CCG, Stuart Findlay, said SMG had been ordered to review services over the next six to 12 months. As part of that review, he said, the CCG was considering a change of use of Sedgefield Community Hospital as a possible home for the practice. Due to the hospital being a private finance initiative building with high running and maintenance costs, he explained, this could be a very “expensive option”. Other options included working with developers to build a health centre in Trimdon Village, which will be investigated in future, the meeting heard. SMG provides services for around 15,641 patients across its sites with the Trimdon Village covering a population of 1,500 people. Mr Findlay stressed the recent closure at Trimdon aimed to protect the practice’s sustainability going forward against a national and regional backdrop of GPs battling to stay open. “I have seen where practices completely collapse and the neighbouring practices have to take on the patients, for some of those practices the workload becomes unbearable and you have this domino effect with practice after practice collapsing,” he said. The meeting also heard SMG were not required to attend the scrutiny committee over the recentTrimdon closure decision, which now rested with the CCG and NHS England. Committee chairman, John Robinson, called for an action plan from the practice going forward and a report outlining their plans, ongoing review and future engagement with patients. Coun Rob Crute added: “There has clearly been issues with consultation and communication and certainly how its been run through this committee. “As far as I’m aware there’s a statutory obligation on the group to come to this committee, we need to get beyond that as that’s been the main nub of the problem.